1.1 This code is the Australian Corporate Online Bookmaker Industry Code of Conduct. 2.1 This code commences on April 1st 2014. (b) To ensure transparency and certainty in punter/bookmaker gambling transactions in the online bookmaker industry and to minimise disputes arising from a lack of certainty in respect of the said gambling transactions. (c) To provide an effective, fair and equitable dispute resolution process for raising and investigating complaints and resolving disputes arising from gambling transactions between punters and bookmakers. (d) To bring Australian Corporate Online Bookmakers into line with the industry standard betting obligations set upon on-course Australian Bookmakers. 4.1 This code applies to Online Bookmakers who, on or after the commencement date, have agreed in writing to be bound by the code. 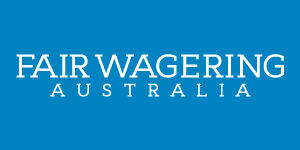 4.2 For the code to work effectively and fairly, all corporate bookmakers licensed in Australia must sign it. Once this has been achieved, all state regulators will in act the rules of the code into their respective rules of betting. This will then allow state regulators to properly deal with disputes in the same manner as they already do. 5.1 Online bookmakers will be obligated to bet all customers to win no more than $1,000 on any product type they offer on horseracing. e.g. If a horse was odds of $2.00, a bookmaker would be compelled to lay a bet of $1,000 to a punter which in turn would have a liability of $1000 to the bookmaker. 5.2 Bookmakers must offer their particular horseracing betting products to all clients and not discriminate by way of betting product offering against particular clients due to their perceived economic viability as clients. 5.3 Bookmakers cannot ever reject a bet from any client if the bet was placed in good faith and was not placed to take advantage of a pricing mistake by the said bookmaker. 5.4 If there is conclusive, compelling evidence that the bet was placed in bad faith or in an attempt to take advantage of a pricing mistake, the bookmaker may reject the bet. 5.5 Bookmakers may “blank out” the price of a horse after a client/s has/have claimed them for a bet. This would mean no other client would be able to then back the horse. The bookmaker may do this so they can have time to consider their liability on the horse and therefore make according price adjustments to the horse in their betting market. It will also prevent the bookmaker from being hit multiple times at once on the same horse and hence having an untenable liability on the said horse. It is up to the bookmaker’s discretion when they put the new price back up for that horse. However putting the price of the said horse back up as quickly as possible would be in everyone’s best interests. 5.6 Bookmakers may also have an electronic intercept in place that may automatically blank the price of a horse after a marked client has a bet with them. The intercept would instantly blank the price of a horse after a marked client had had a bet on the said horse. It would allow the bookmaker to only have a liability of $1,000 on that horse before they have an opportunity to adjust their price of the horse if they so desire. 5.7 A “marked” client would be considered a professional or successful recreational gambler who the bookmaker considers needs to be monitored for economic reasons. 5.8 It is solely up to individual bookmaker as to whether they wish to have this intercept system in place. It is also up to the individual bookmaker to program their computer operating system to have the said intercept system. 6.1 Online bookmakers cannot close or restrict accounts of any Australian clients, under any circumstances, except where compelling evidence of fraud, deception or collusion are evident when a gambler places a bet. This would also pertain to gamblers taking unfair advantage of bookmaker’s promotional offerings. 6.2 Where compelling evidence of fraud, deception or collusion is evident, bookmakers may close punters accounts and ban them from being able to wager with them. Punters would have a right to appeal the bookmaker’s decision via their State regulatory authority. 7. Dispute resolution via individual State regulators. 7.1 Disputes would be heard and mediated and eventually ruled upon depending on which state or territory the said bookmaker was licensed from. e.g. Northern Territory bookmakers would have disputes resolved by Northern Territory Racing Commission. 8.1 Australian Online Corporate Bookmakers will establish a Code Committee and the parties to the Australian Corporate Online Bookmaker Industry Code of Conduct will use their reasonable best efforts to support the operation and work of that Committee so that it can perform its role. Addendum – It should be noted that Online Bookmakers would be advised to consider applying this code of conduct to sporting wagers they offer their clients as well.